Stories related specifically to Waterloo cycling. This is for the locals, but can have information related to cycling in non-Waterloo areas of the world. 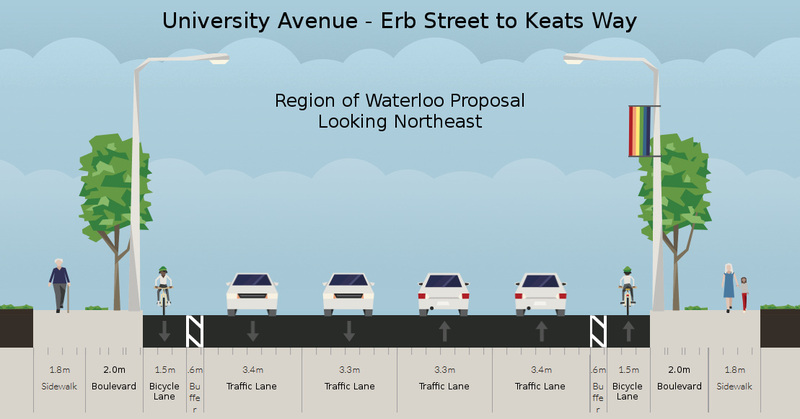 Last week, I criticized regional staff’s recommendation of painted on-street bike lanes in the planned reconstruction of Universty Avenue between Erb Street and Keats Way. The matter was about to go before the Planning and Works committee for approval. 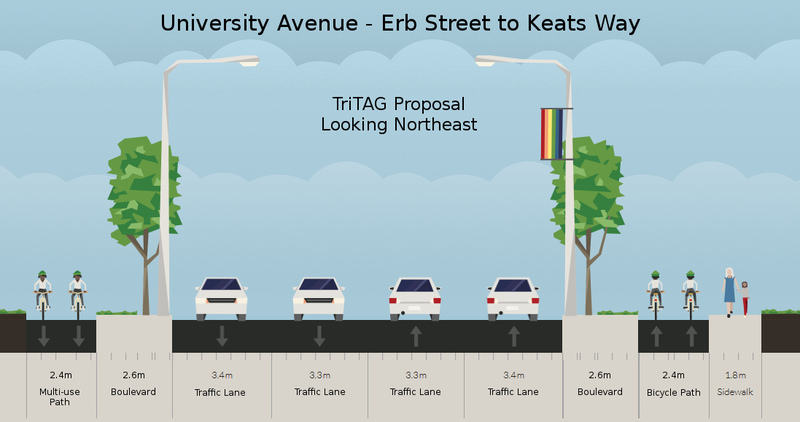 – The notion that off-street bicycle paths would disrupt the continuity of cycling along the corridor is factually incorrect. – A fully off-street (i.e. in-boulevard) bicycle path would have neither of the disadvantages staff used to dismiss cycle tracks: it would not be any more expensive than on-street lanes, and it would actually be easier to effectively maintain in winter. The full text of my delegation is included at the bottom of this post.